North-central and northeastern American hardwood with finely toothed, heart-shaped leaves with asymmetrical bases. 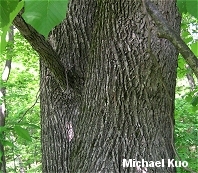 Habitat: Usually in moist areas, mixed with other hardwoods. 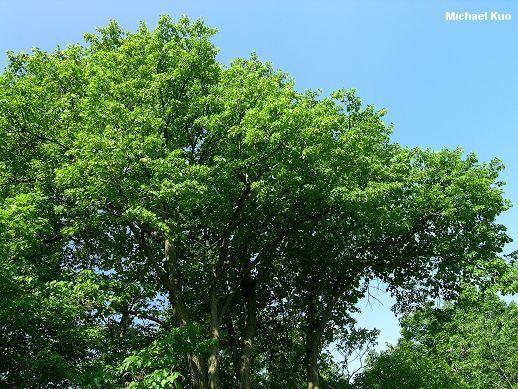 Stature: 60-80 feet high; trunk to 3 feet in diameter; with a rounded crown. 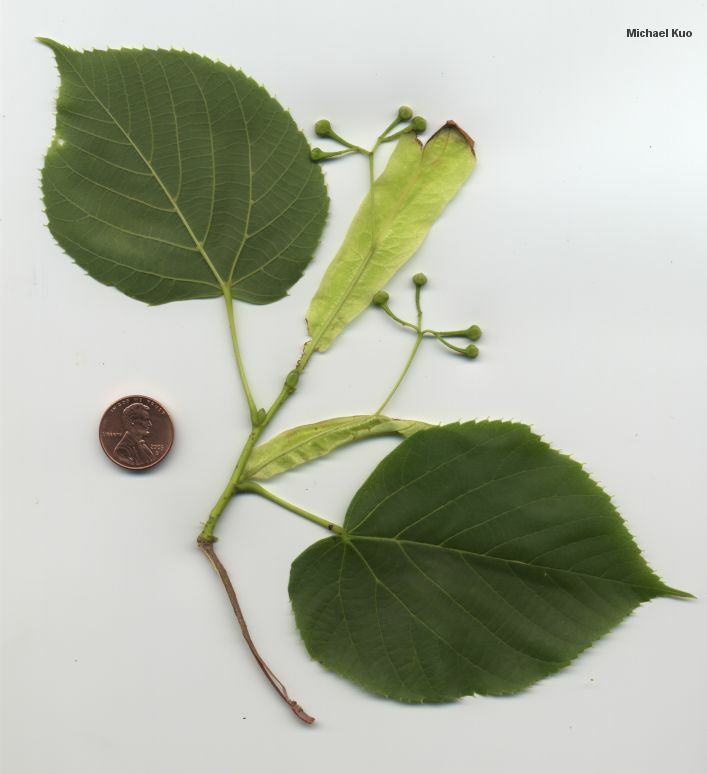 Leaves: 5-6 inches long; heart-shaped, with asymmetrical bases; finely toothed; dark green and shiny above; pale green below. 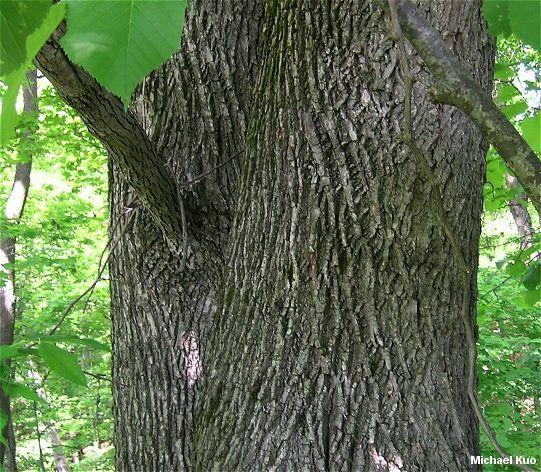 Bark: Gray; furrowed and ridged in age. Fruit: A gray, nut-like berry about 1/2 inch long. Flowers and fruit arise from prominent bracts that look like secondary, skinny leaves.